9th edition which took place from 10 to 13 April 2017. The share of foreign visitors has further increased to reach 40% of visitors (30% in 2015 and 28% in 2013). This testifies to the stronghold of the Rhone Valley internationally. Among foreign nationalities, we notice the importance of Belgium, the United States and Germany. 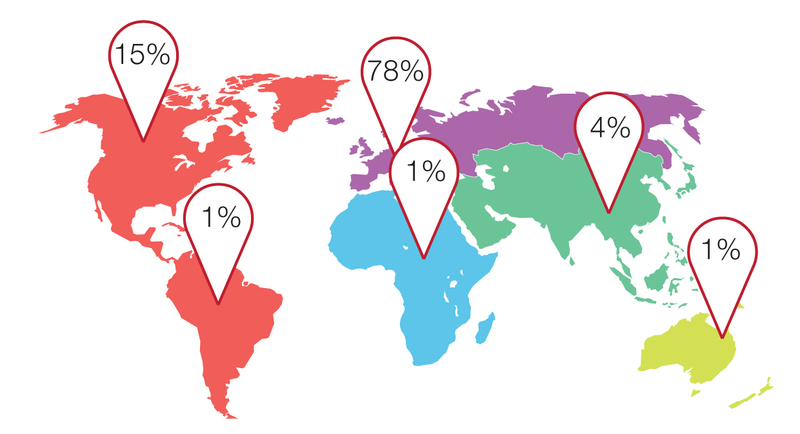 There is an increase in participants from Asian countries (+ 25%), especially China, Singapore, Taiwan and South Korea. Why do they come and what do they think? The commercial character of Discoveries in the Rhône Valley is confirmed! 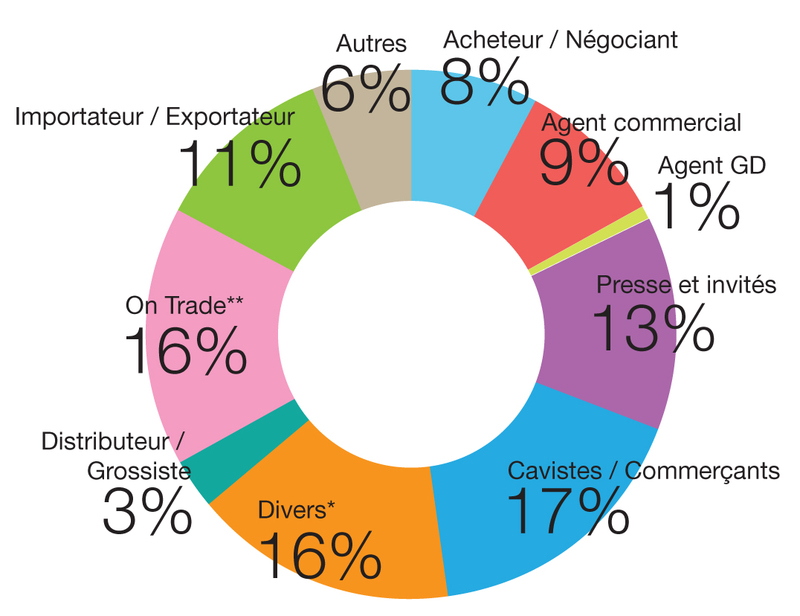 92% of respondents come to Discoveries in the Rhone Valley to discover new suppliers and 41% to renew orders or new ones. The overall organization is acclaimed by 90% of visitors.They enjoy meeting a large number of exhibitors in a minimum of time. As for the configuration in several tasting places, 92% of the people questioned are satisfied. They see the possibility of discovering the Rhône Valley, its heritage and its soils, with a good enhancement of the different AOC. For this 9th edition of Discoveries in the Rhône Valley, 92% of visitors surveyed were “satisfied to very satisfied” with their participation.“The most beautiful wine trade show in France”.